Since 1989, Webbs has helped countless customers escape everyday stresses, turn life into an adventure, and make miles worth of memories! While the company has grown beyond recognition, our passion for life on the road is unchanged and we are still just as fanatical – if not more so – about motorhomes, caravans and touring as we ever were. It’s just that now, we also have more than 30 years’ experience under our belts. Our mission is to ensure our customers can travel in comfort with their loved ones across the UK and beyond. 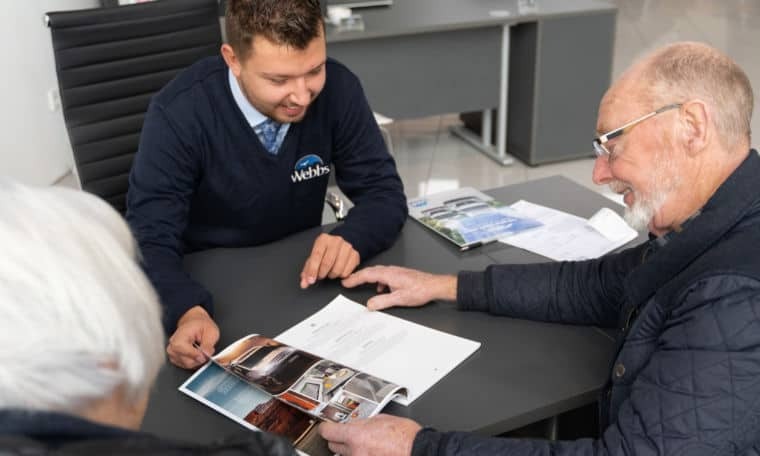 We make it our business to get to know you, understand your exact requirements and use the benefit of our experience to help you find the right vehicle or van to make your touring dreams a reality. We pride ourselves on offering a warm welcome and a team of friendly, highly trained staff who are extremely knowledgeable and able to give advice on every aspect of owning a motorhome or caravan. Our customers tell us it’s this high standard of service that keeps them coming back time and time again. At Webbs we are a trusted retailer for some of the best-known brands in the industry, including Bailey, Swift and Elddis and Auto-Trail. We stock a wide range of models in our showrooms, but can also supply any make or model to order. 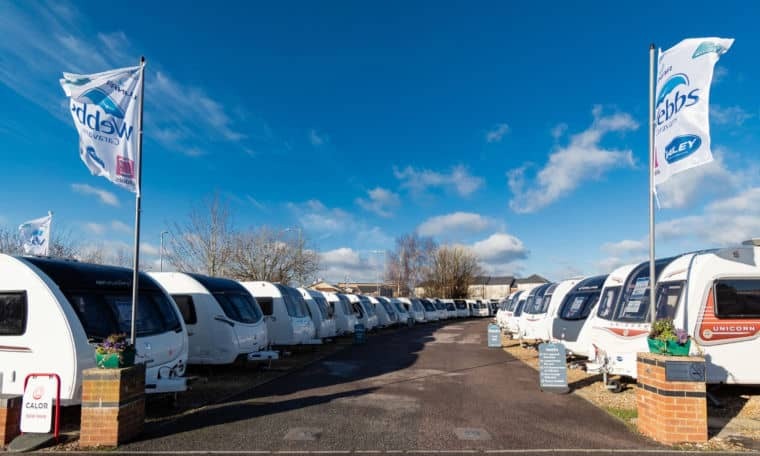 As well as brand-new motorhomes and caravans, we also hand-pick a selection that have been previously owned, ensuring we give our customers as much choice as possible when it comes to finding the perfect vehicle. Our Reading branch specialises in motorhomes, while our Salisbury branch is dedicated solely to caravans. At both Webbs branches you will find on-site accessory shops, stocking a wide range of accessories and camping essentials, plus AWS approved service centres providing all-important aftercare products and services. Because when you buy a motorhome or caravan from us you become part of the Webbs family, and we’re here to make sure every journey you take is memorable for all the right reasons.